After his mother is killed, four-year-old Clay Sizemore finds himself alone in a small Appalachian mining town. At first, unsure of Free Creek, he slowly learns to lean on its residents as family. There’s Aunt Easter, who is always filled with a sense of foreboding, bound to her faith above all; quiltmaking Uncle Paul; untamable Evangeline; and Alma, the fiddler whose song wends it way into Clay’s heart. 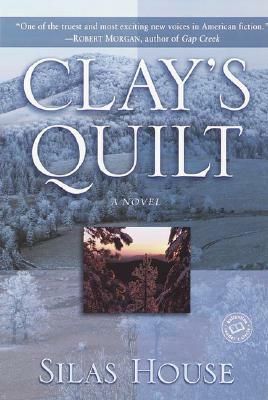 Together, they help Clay fashion a quilt of a life from what treasured pieces surround him. . . .